FARMINGTON, NM—Frantically beseeching her significant other to deal with the unpleasant intruder, Kathleen Fatica shouted down the hallway Monday for her boyfriend to come kill a humongous ax murderer she happened to stumble across in the bedroom. “Gary! Gary! Gary, come to the bedroom! Quick! 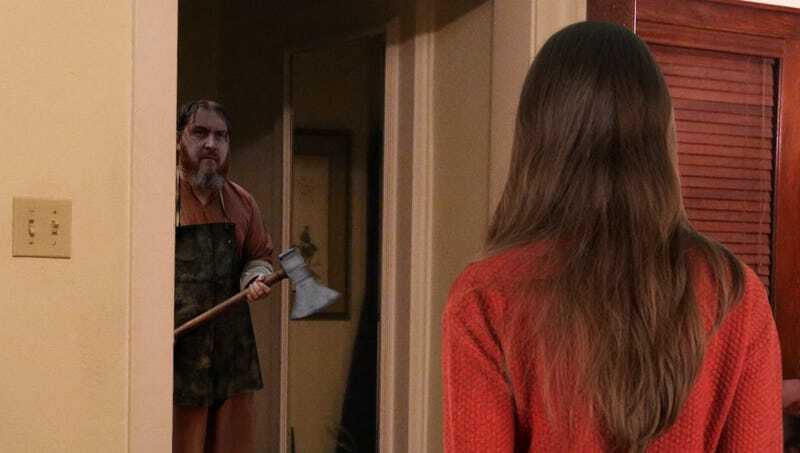 There’s a creepy, gross, ax-wielding maniac in here!” said Fatica, who became upset after seeing the serial killer scurry towards the closet the instant she turned on the light. “Ew, is he looking at me? I think he’s looking at me, Gary…Bring a phone book or something to swat him! Oh, God, he’s so hairy!” At press time, Gary Simon, Fatica’s boyfriend, was treated for deep wounds and severe bleeding after he calmly collected the huge ax murderer and released him outside.